Last Monday I walked into the reception of the main hospital at UCLH and was met by Darth Vader and a whole lot of Stormtroopers. Darth Vader was a bit scary. 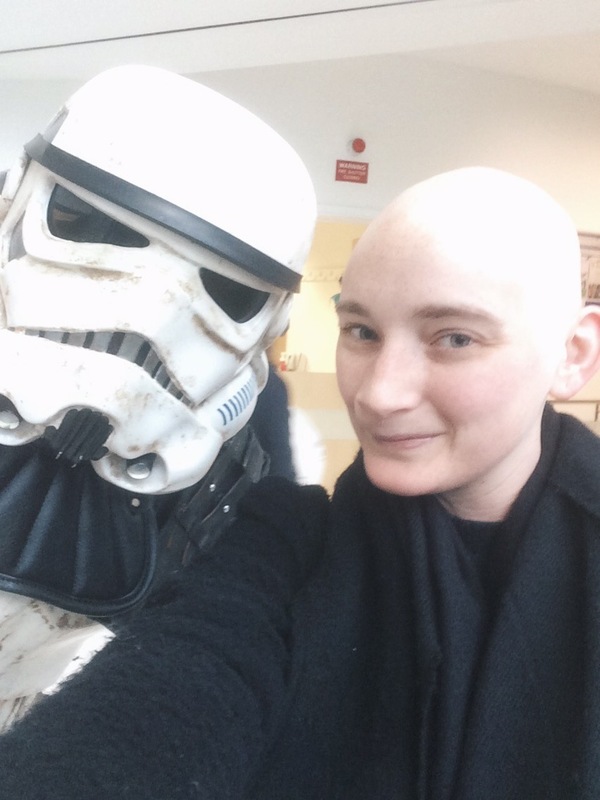 A Stormtrooper came up and told me we needed a selfie – who am I to say no to the Dark Side?? What fun. A couple of days later, there was a man playing harp in the very spot that had been filled with Stormtroopers only two days before. Thanks again UCLH. 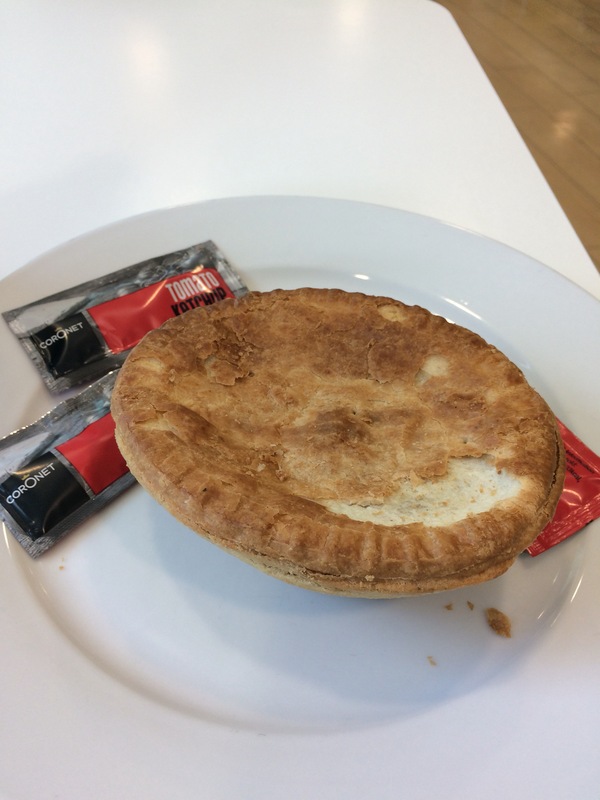 I was still trying to keep up my iron levels last week so I was using my lunch voucher to eat steak and kidney pies in the cafeteria each day. Hospital food is seriously good!! Not all days are great but there’s usually something there. Near the end of last week I got all my negative swab results back for my cold and for the last day I was finally allowed back in the normal ward!! My isolation was officially over. It was such a relief! I was welcomed back with open arms as everyone was happy I had been reinstated to my former glory. I’m ok if they were pretending and were actually muttering ‘oh no here’s the chirpy bundle of trouble back again’. I did a little dance. It felt like Christmas. This meant that we were done with the bad hotel and making our way back to The Cotton Rooms for the next week. Incredible. To be fair the days just keep passing by. Some days there are stories, others there aren’t. Last week I was exhausted because of the low iron but it started to raise by the end of the week. By Friday I was feeling a lot better. Miles better in fact. 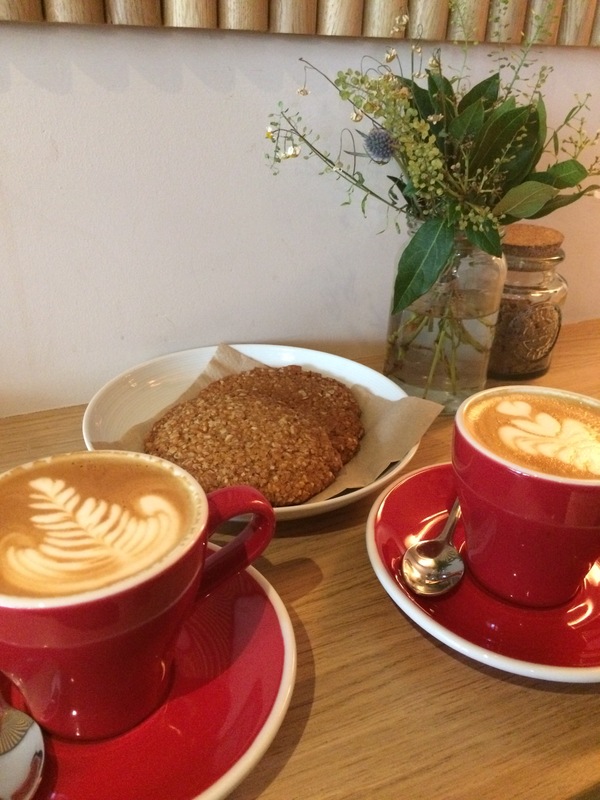 Charlie had the day off work with me which was incredible, and we drank coffee, ate ANZAC biscuits, went to the food market nearby for lunch, and took ourselves to the pub to await the results of my Methotrexate levels so I could get disconnected and head home. Then once I got the all clear, off we went! Straight to the local pub when we got home and then had some red meat for dinner to boost that iron a little more. Green leafy veggies are a great source of iron, nuts & seeds are a great source of protein. Beets too. Yes, I know your stance on lentils & peas! Not preaching, Not telling. just saying. Obv, you eat what you want & can. BTW, your story is Freakin’ amazing. Yeah I’ve been putting baby spinach in with everything! Blending it in smoothies, putting it in omelettes, etc.